An award-winning legal trainee has just qualified as a solicitor with one of Shropshire’s largest legal firms. Helen Alexander 26, has now completed a training contract with Wace Morgan Solicitors, which has three offices in Shrewsbury and one in Newtown, and has joined the company’s private client department. 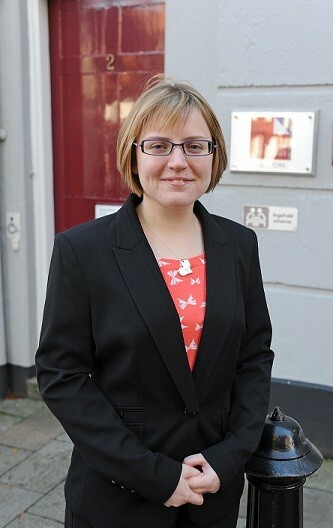 A former pupil of The Priory School, Shrewsbury, she went on to study for a law degree at Wolverhampton University. Whilst studying for the Legal Practice Course she won the prize for the best full time student, gaining a distinction overall. She commented: “I am delighted to qualify as a solicitor with a firm that has such an excellent reputation as Wace Morgan. In her spare time, Helen, who lives in Shrewsbury, enjoys baking, motorsport particularly Formula 1 and attending the theatre.